A new report from an NGO is making the rounds this week. The report looks at illicit and semi-legal trade in endangered species, and it draws some rather unpleasant conclusions about Rakuten, the Amazon.com of Japan. Countries around the world are burning ivory stockpiles. It’s a powerful symbol against the illegal trade in elephant tusks that resulted in as many as 30,000 elephant deaths last year. But those demonstrations can only be so effective when a legal market for ivory trade exists. And according to a new report (pdf) from the Environmental Investigation Agency, an NGO, one of the world’s biggest digital companies is facilitating not only a brisk business in illegal ivory, but also the sale of meat from endangered whales. Rakuten Ichiba—the Japanese online marketplace of Rakuten Group, a digital giant that recently bought messaging app Viber—offers products made from endangered animals that can fetch up to ¥2,640,000 ($28,186) (link in Japanese), shows EIA’s investigation. This might be morally outrageous, but it’s not—at least on the face of it—illegal; Japan claims exceptions to international bans on the the commercial trade of elephant ivory and whale meat. And it shows how futile laws protecting threatened animals are as long as they have loopholes. The problem is that it’s extremely hard to tell legal from illegal. That perpetuates demand for poached ivory. As of Feb. 2014, Rakuten Ichiba featured 28,000 ads for elephant ivory products, most of which were for hanko (link in Japanese), the seals used in Japan to sign documents. These ranged from ¥3,800 to ¥320,000 ($36 to $3,126). However, EIA reports that the site also sells ivory from endangered elephants in Central Africa. It surmises this based on the size of the items for sale, since large tusks almost certainly come from new sources (pdf, p.61). When it comes to whales, things are slightly different. Japan is, along with Iceland and Norway, the only country in the world that demands an exception to international ban on commercial hunting of whales, which it does so under the auspices of “scientific research.” Arguing that whale meat is the “byproduct” of said research, the government subsidizes the industry, paying $9.8 million a year to fund whale hunts. However, unlike with ivory, domestic demand is flagging. That probably explains why, of the nearly 800 whale meat ads on Rakuten Ichiba as of February, most cost the equivalent of only a few dollars. While I would normally ignore the actions of a parent company when they are legal, sometime around the 5th or 6th time this story crossed my radar I was struck by the contrast between Amazon and Rakuten. As my regular readers probably know, Rakuten own Kobo, the Canadian ebook firm, and that leads us to a rather curious situation. Many people in digital publishing love to hate Amazon, often attacking the retail giant for its business practices. I wonder how they will react to the news about Rakuten? On the one hand, we have a retailer which is viciously competitive, while on the other hand we have a retailer who deals in endangered species. Okay, Rakuten technically runs a marketplace where other people deal in endangered species, but that point is irrelevant. Amazon not only doesn't deal in this morally repugnant trade, they have even banned any mention of ivory or whale products from their Japanese retail website (so has Google). This argument seeks to deflect criticism by bringing up unsavory facts about one of the actors. In this case, the argument is much more roundabout. 1. The Japanese company Rakuten provides an online marketplace, in which many types of goods are sold. 2. Whale meat and ivory are sold on these markets. There doesn’t seem to be any claim that Rakuten engages in the sale themselves, only that they provide the marketplace. 3. Two years ago, Rakuten bought a Canadian company, Kobo. Rakuten has not been especially involved in Kobo’s operations, as far as I know. Recently, the CEO of Kobo was replaced by a Rakuten executive, which suggests that changes may be on the way. 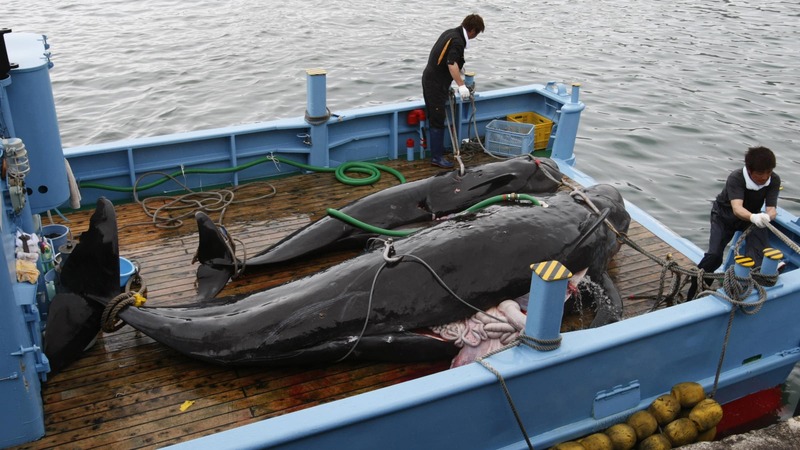 There is no claim that Kobo has anything to do with the sale of the whale meat and ivory, or that they have anything to do with Rakuten’s operations. 4. Amazon is widely criticized for tax avoidance and ruthless behavior towards partners and competitors. 5. Kobo and Amazon are competitors in the e-book market. Kobo has a more benevolent reputation than Amazon, and for that reason some people prefer it. On the basis of these facts, Nate’s concludes that people should refrain from criticizing Amazon because its competitor Kobo is tainted. I would draw a different conclusion. Judge Kobo’s behavior according to how it behaves, and Amazon according to how it behaves. Kobo has its problems with customer support and process – I think that’s fair game. And Amazon should be judged fairly too, with props given for technological innovation and brilliant process management. Maybe it would be a good idea for all of us to lower the rhetorical level about Amazon. Talk about good or evil just muddies the waters. Amazon is a key company in the transformation of publishing. Understanding exactly what it is doing is much more interesting than moral crusades for or against. Amazon has killed numerous small stores, inflicting unemployment and misery on human beings. Kobo is owned by a company that owns a trading site that people who unscrupulously harm animals use. If where I buy my ebooks comes down to this choice, I’m on team human and side with Kobo. Reducing a complex issue to this level of simplicity is silly, but there it is. Nate, I recently found this site and now visit it every morning for the book-related news. I have largely stopped reading the major news papers as they all have too many stories like this, written to upset and/or tell me what I should be doing or not doing, all in the name of page hits. Please do not go this route. And how does that make Amazon worse than any other large retailer? Including, for that matter, Rakuten? I don’t like these kind of stories either (they also go against my new editorial policies) but I wanted to make the people who scream the loudest about Amazon uncomfortable. And so I had to break my own rules, but I expect that this will be an exception. That makes patently no sense. Yes, Kobo’s parent company engages in some questionable business practices. So does every company (as you pointed out right in this comment). Being the lesser of two evils doesn’t make you good; you’re still evil. The reporting on the trade Rakuten allows on their site in is important, and it does affect whether or not I’d want to support such a company with my business. But trying to use it to absolve a competitor makes you seem incredibly agendaed and biased. It’s bad journalistic form. Except that you are one of the people that should be discomforted, and now that I see other respectable bloggers posting about this I suddenly don’t feel so bad for writing this post. Disappointing to see headline bait from you, Nate. We all make mistakes at one point or another – even me. So, if you get the Aura HD in Ivory, can you go after them for false advertising?